Patsy is often asked to give painting demonstrations to art societies and groups. She also leads workshops with art groups, usually preceded by a brief illustrated talk on a particular technique or use of materials. 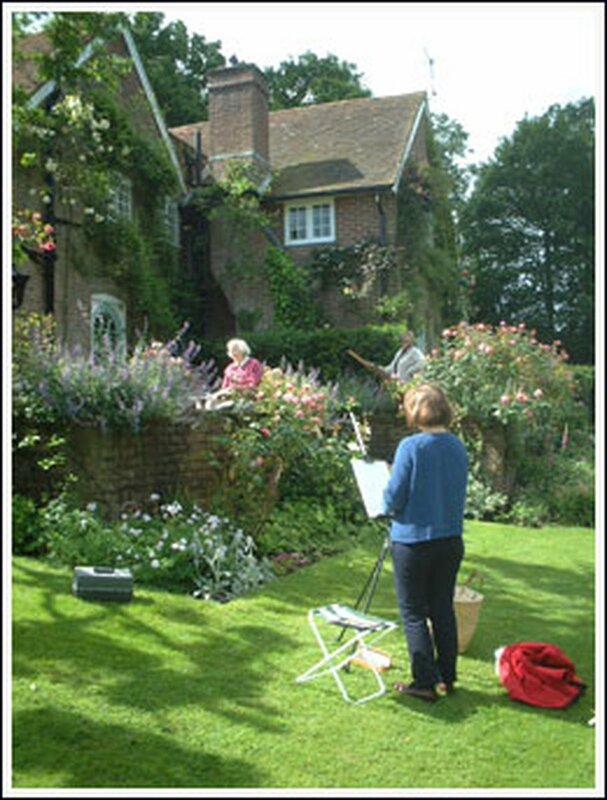 Art societies are also catered for on painting days out, on which Patsy will tutor a group in a location of mutual choice. Where weather permits, students will be encouraged to sketch and paint en plein air, but it is advised for a group to book a suitable hall or room in case of inclement weather, in which case she will give a demonstration and run a workshop. Whether inside or out, the day, from 10 am until 4 pm, usually begins with a brief talk and technique demonstration and ends with an encouraging critique. Contact Patsy to book an art society demonstration, workshop or tutored day out. Patsy Moore has proved to be very popular amongst our membership, both for her accomplished presentations and her warm, engaging manner. Patsy always manages to combine good practical tips on a general subject with specific guidance on a one-to-one basis. T C, Chairman Felpham Art Group.